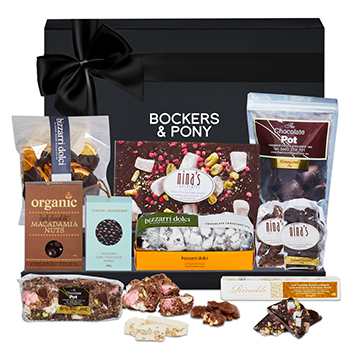 If you've never sent or received a Bockers & Pony Adelaide gift hamper before, you're in for an absolute treat! As Australia's #1 destination for luxury hampers, we specialise in designing and curating coveted experiences, featuring gorgeous hard-to-find contents and exquisitely packaged to impress. 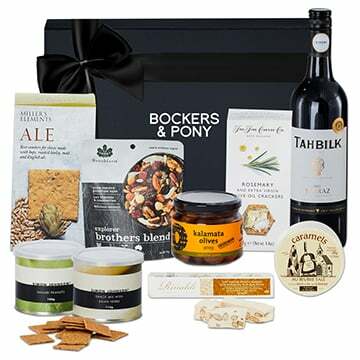 All you have to do is browse our unparalleled collection of Adelaide gift hampers, follow the easy-click checkout and then sit back as our amazing Adelaide hamper delivery experts carry your thoughts and generosity to deserving staff, clients, family and friends. In this hectic world, we believe people deserve to feel cherished with luxurious gifts that give them an experience beyond compare. 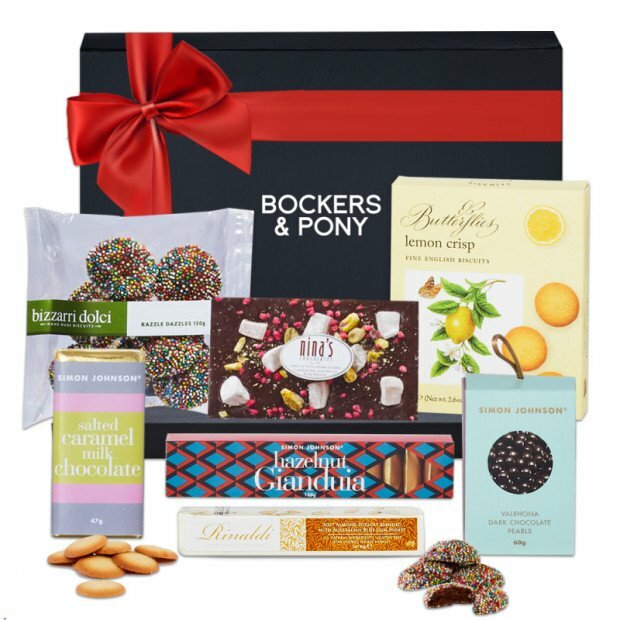 Whether you're celebrating major events like Christmas and Easter or marking milestone birthdays or anniversaries, our Adelaide gift hampers guarantee to delight. Browse online, and you'll also discover unique gift ideas for him, pampering gifts for her and the most thoughtful housewarming and sympathy hampers, too. 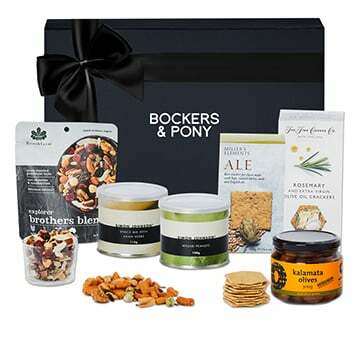 And no matter what the occasion, our wonderful Bockers & Pony team is on hand to look after your every need, making sure each Adelaide hamper delivery is a joy to give and receive. 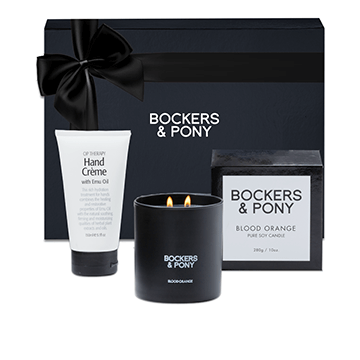 When it comes to Christmas shopping, you'll love the Bockers & Pony experience! 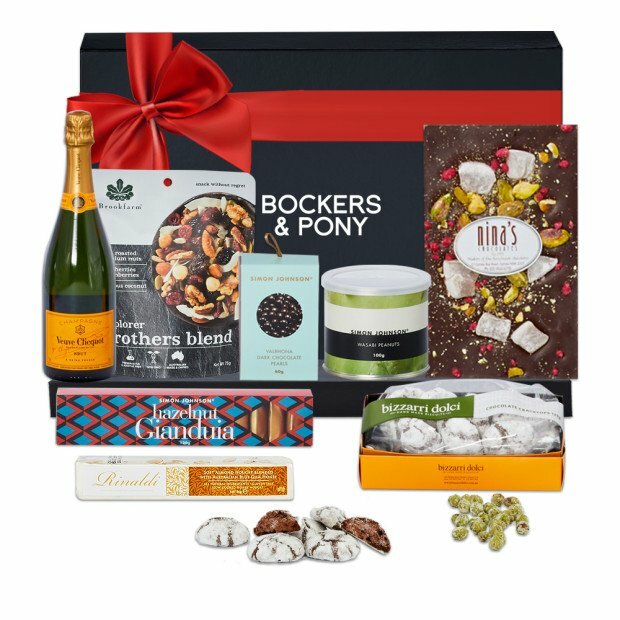 Our online shop has the biggest Adelaide Christmas gift hamper collection, showcasing unique Christmas gift ideas for everyone. All the hard work's done, and there's no need to fight for parking because we take care of everything from the exquisite presentation and personalised card to the efficient Christmas hamper Adelaide deliveries. Just make sure you allow an extra day for delivery as it does get a little busy around Christmas! We're famous for our stunning collection of Adelaide baby gift hampers for every budget. That's because we hunt far and wide for the softest friends, pampering delights and elegantly practical additions that make these hampers such unique gift ideas for boys and girls. Then, we present them in a range of stunning reusable cases and send them off with our Adelaide hamper delivery team to surprise and delight the new parents. 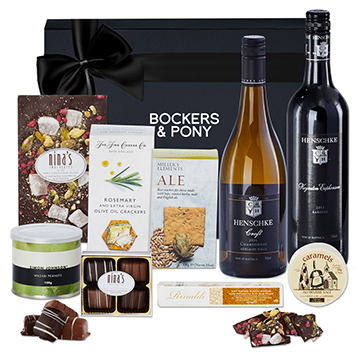 Whether you're looking to buy one hamper or a hundred, we're experts at designing and curating contemporary and covetable Adelaide corporate gift hampers for every occasion. Each hamper showcases luxurious contents and beautiful presentation that sends a message of success. 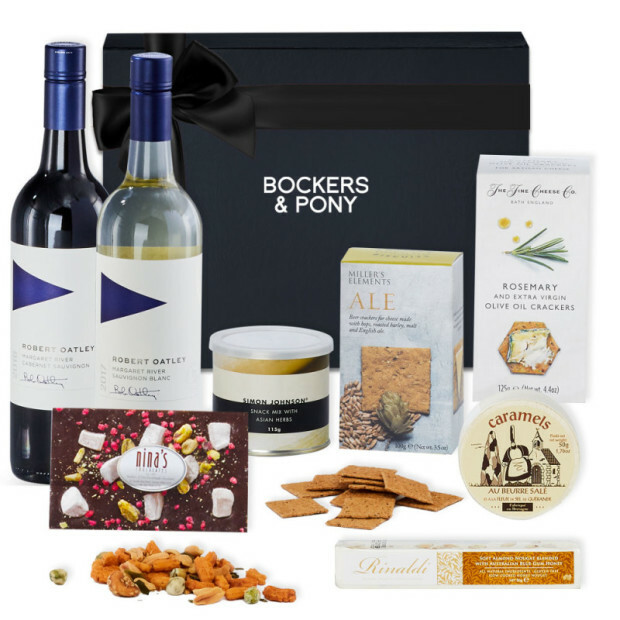 Fully customisable, there's ample space to feature your logo or message on the exquisite packaging across our range of Adelaide corporate hamper gifts. 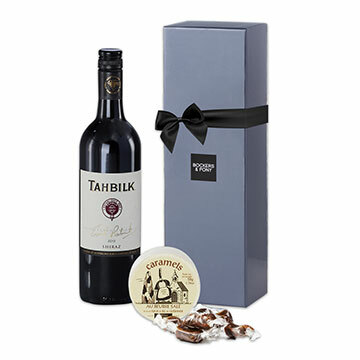 What's more, we handle even the most complex Adelaide hamper delivery logistics, making corporate gift-giving an easy pleasure. For more information, call 1300 132 663 or email [email protected]. 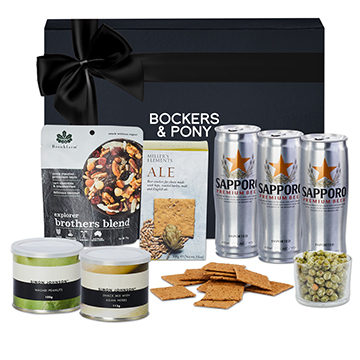 So much more than a hamper, Bockers & Pony delivers a truly luxurious experience from beginning to end. We're committed to bringing back the joy of gift giving with beautifully curated hampers that help you connect with the people that matter. 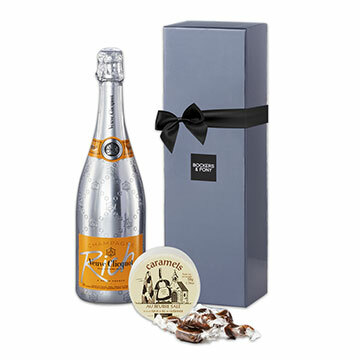 Every Adelaide gift hamper showcases exclusive and elegant product combinations designed around the occasion. We carefully pack the hamper contents and your personalised message into our iconic high-end packaging and hand it to our Adelaide hamper delivery team to transport your thoughtfulness to your recipient's doorstep. Lucky, lucky them! The cost of delivering one hamper to Adelaide address is $16.95, including GST. Additional charges apply for multiple deliveries to the same address. Adelaide hamper deliveries made to PO Box addresses, parcel lockers and RMBs (registered mail bags) will attract the rate of $25.95, including GST. If you need to organise multiple Adelaide gift hampers to different addresses or interstate — email our team or call 1300 132 663 and we'll make your life easy. 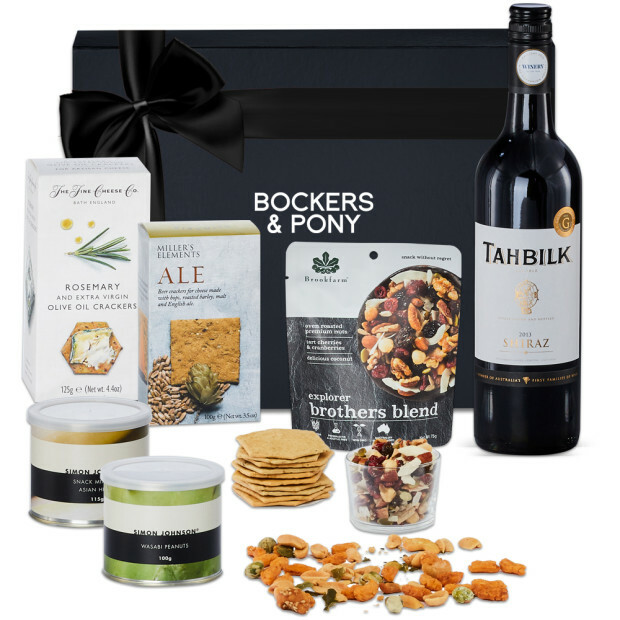 We deliver our Adelaide gift hampers to Metropolitan city areas and Adelaide regions on business days, from Monday to Friday. 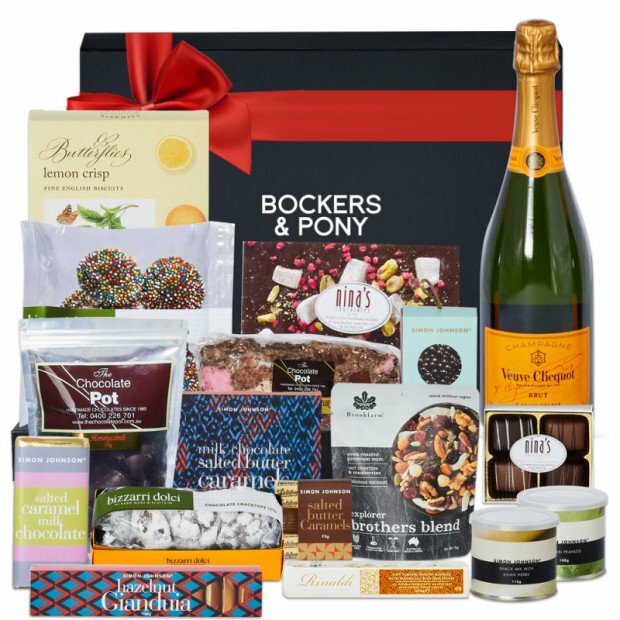 Unfortunately, Bockers & Pony doesn't deliver Adelaide gift hampers on weekends or public holidays, so we'd be grateful if you could take this into account when ordering. If you place your order before 3.30pm, our Adelaide hamper delivery team will hand over your gift the next business day. Deliveries to regional and remote or rural locations around Adelaide will take two days. 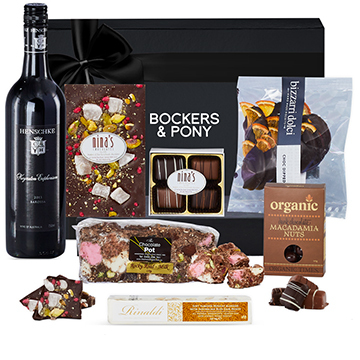 We want to make your recipient's experience amazing, so it helps if you give us their phone number in case they're not in, or we leave your gorgeous Adelaide gift hamper somewhere safe for them. We authorise our couriers to leave the hamper if your recipient is out. If it's not safe to do so or your Adelaide hamper delivery is to a PO Box address, our couriers leave a calling card, and the recipient can collect your gift from their local post office. If delivering your Adelaide gift hamper to a hospital, please give us the patient's home address as well. We've often found that doctors discharge people quickly, so we don't want the patient to miss out on your thoughtful gift! 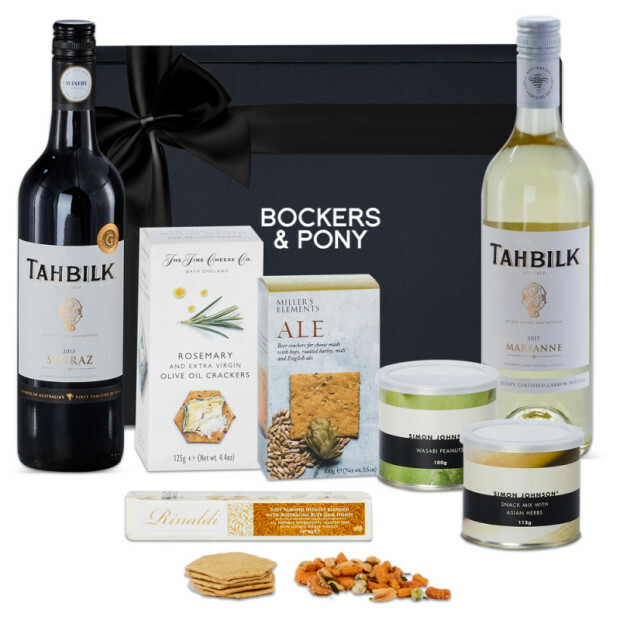 We want to make sure your Adelaide gift hamper experience is nothing short of spectacular! 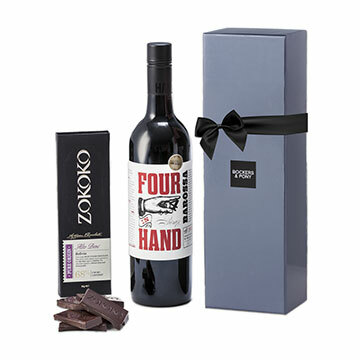 Our longstanding Adelaide hamper delivery service aims to deliver your gift as close to your preferred date as possible. If we do not deliver your gift hamper in Adelaide on your preferred date, we are unable to cancel your order or credit your transaction. 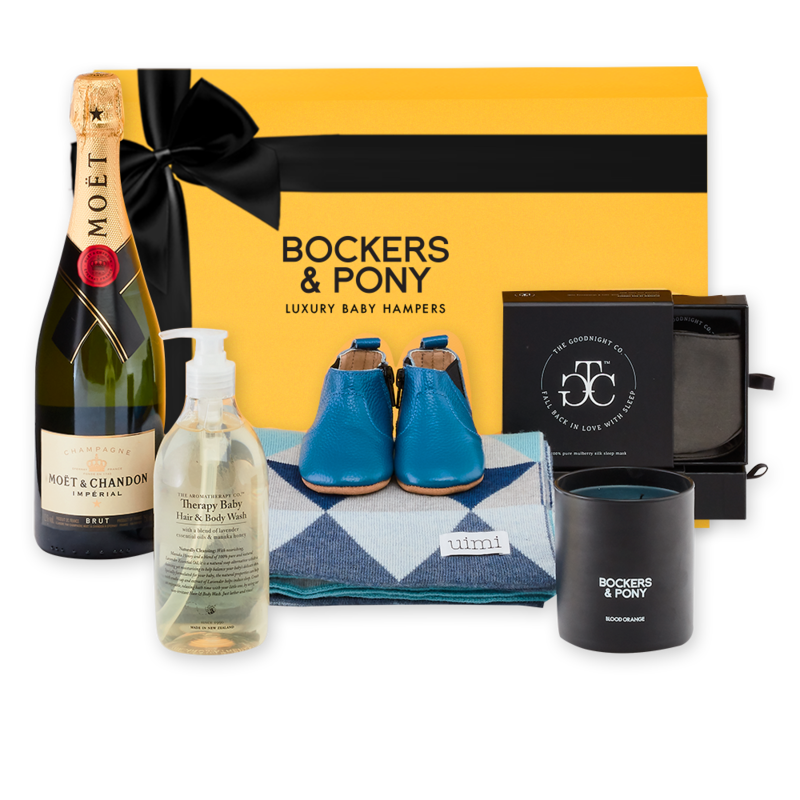 We hope you enjoy the Bockers & Pony shopping experience as much as we enjoy putting it together for you. You're our #1 priority, so please don't hesitate to call us on 1300 132 663 or email us at [email protected] if you need help ordering or have any questions. Happy Bockers & Pony Shopping!